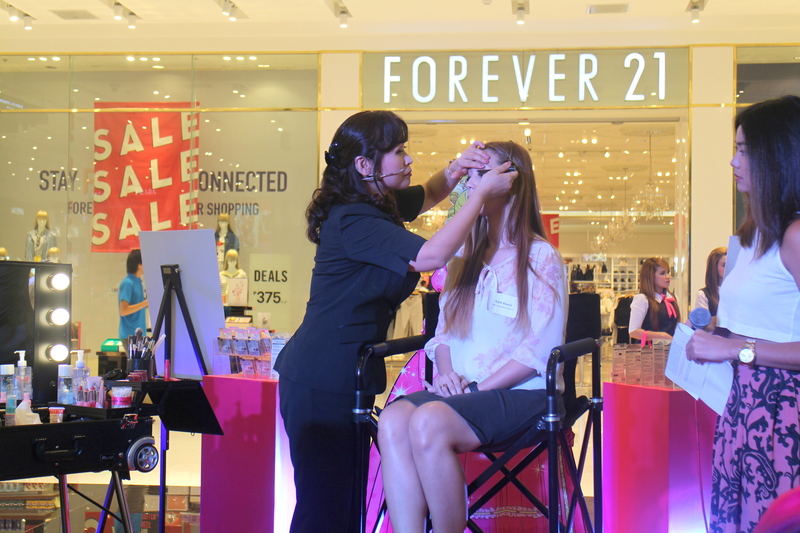 For the launch of Heroine Make's Jewelry Eyecolor, make-up artist Sayuri Igarashi who came all the way from Japan did a short make-up demo at the Beauty Section of SM Makati. 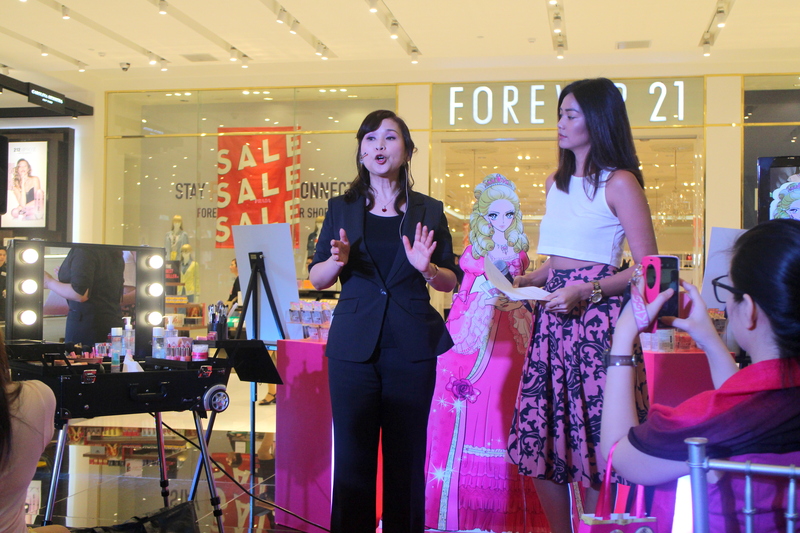 Ms. Igarashi gave out expert tips and shared some techniques on how to prepare looks for various occasions. 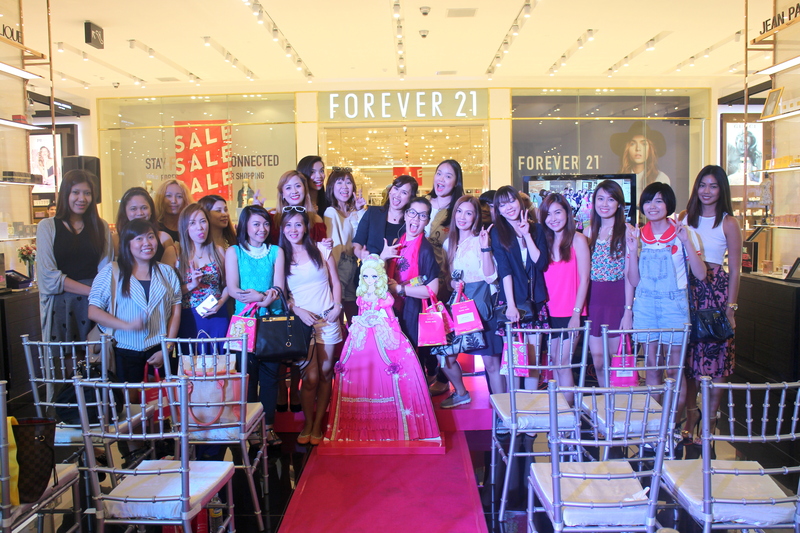 We also got to ask her some of our makeup questions which she gamely answered! Read more after the break. P.S. I just had a haircut that day which explains why my hair looks weird in the photos. My bangs were cut way too short! Lol. Heroine Make's Jewelry Eyecolor is available in four variants: Yellow Sapphire, Beige Gold, Pink Amethyst, and Rose Garnet. It's long-lasting, waterproof, sweat-proof, and smudge-proof. 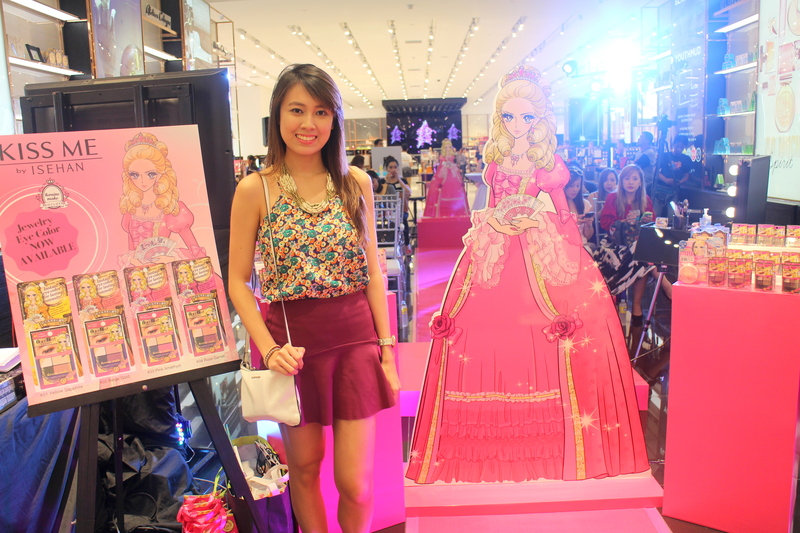 Here's Ms. Igarashi giving blogger Kat a fab makeover! 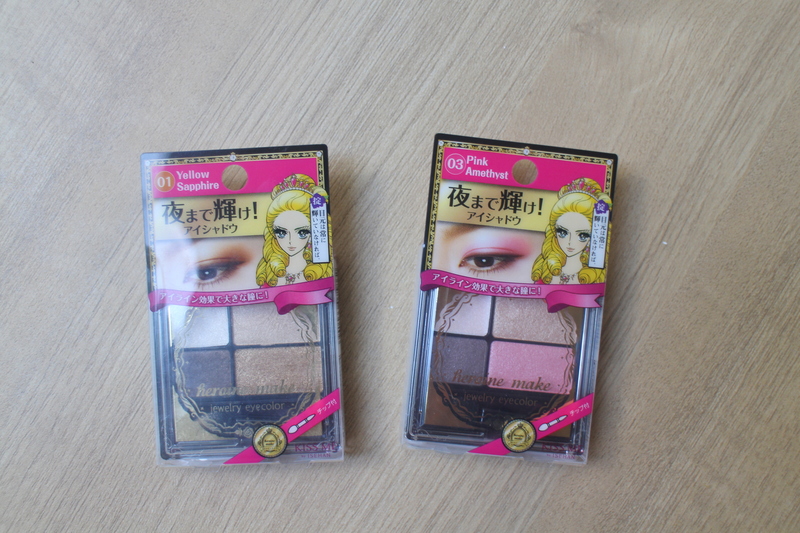 Below are the Kiss Me Heroine Make Jewelry Eyecolor in Yellow Sapphire (left) and Pink Amethyst (right). 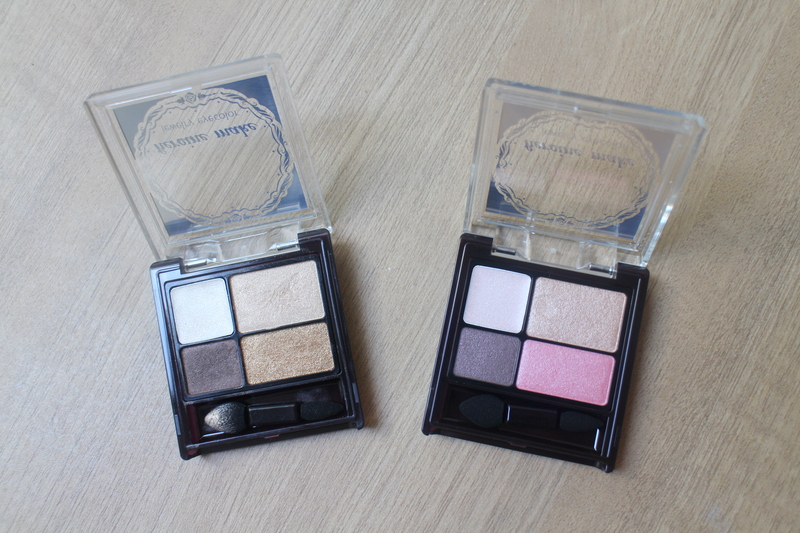 The instructions on how to apply the eye shadow can be found at the back of the palette, with matching illustrations. The palette is composed of cream eyeshadows and comes with an applicator brush -- but you can also use your fingertips for easier application! I tried the Yellow Sapphire first and strictly followed the instructions printed at the back. I applied the highlighter (top left) first on my entire eyelid, followed by the beige shade (top right), then the gold shade (bottom right). The brown color (bottom left) is applied on the lash line and doubles as an eyeliner. The result was a shimmery yellow-gold color that appears very light and fresh, making this eye shadow palette perfect for a day out. Tip: Don't forget to prep your eyes with eye primer so the colors would stand out even more.